You're a Grand Old Flag Quilt Pattern by Missouri Star - Missouri Star Quilt Co. - Missouri Star Quilt Co. There are few things that speak more clearly of patriotism than our nation’s flag. 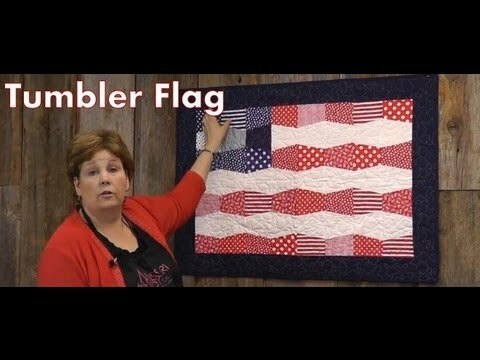 This easily constructed flag can be sewn together quickly using precut 5" squares. Finished size: 46" x 38"